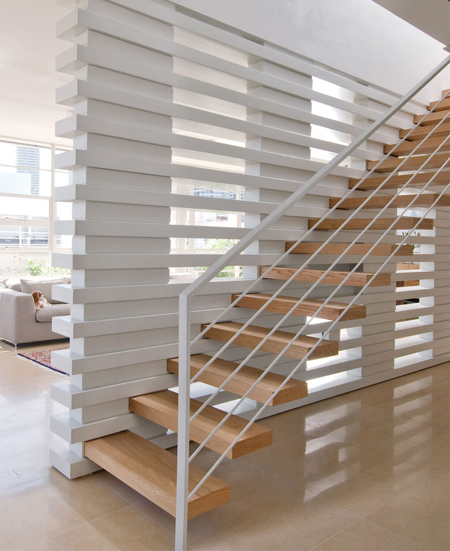 When your home is a double-storey or more, a staircase is a main element. 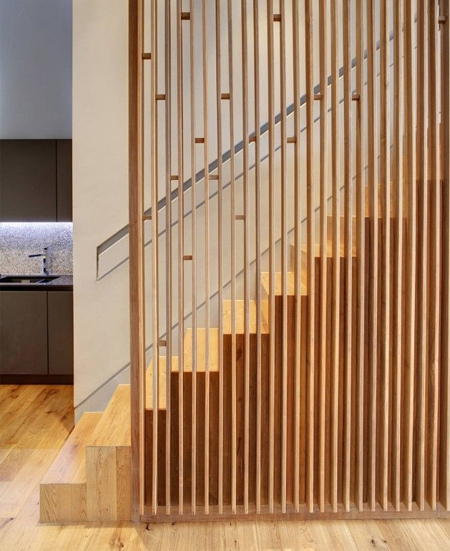 It might be tucked away in a corner, but at the end of the day any staircase takes up a lot of space and grabs a lot of attention. 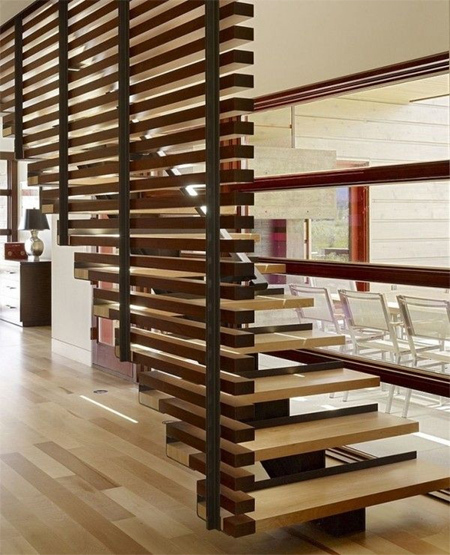 When designing, building or renovating a home, give some thought to the type of staircase you want. 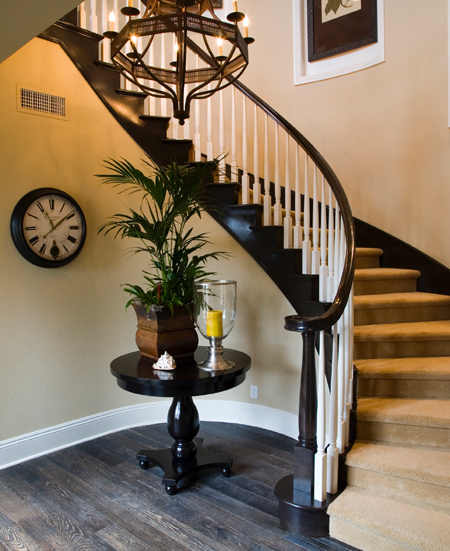 Spiral staircases, whether contemporary or wrought iron, take up far less space than most other staircases. 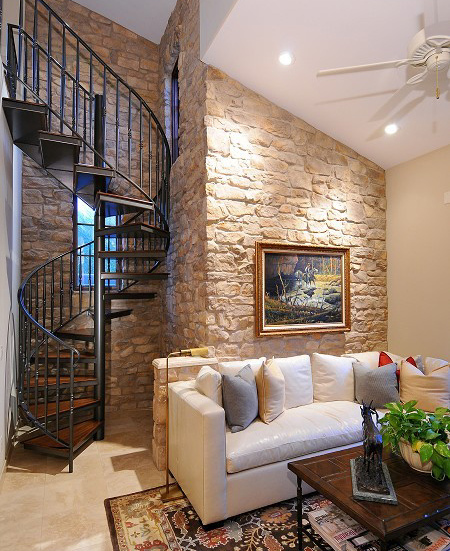 Because of the shape and design, a spiral staircase immediately becomes an architectural element in a home, rather than just a place to walk up and down. 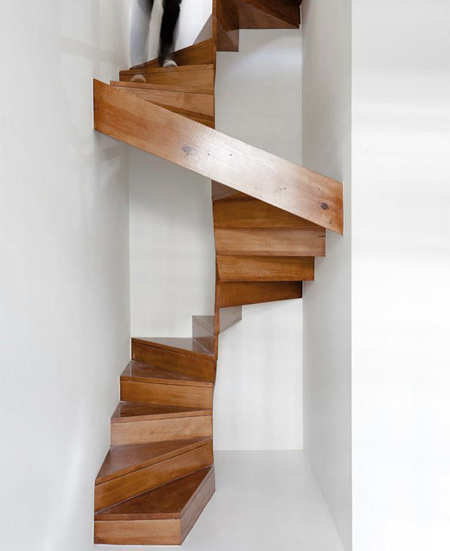 The main downside to installing a spiral staircase is moving furniture up and down. If this is the only access point to upper levels, moving larger pieces to upper levels becomes a nightmare and may require removing a window, or hauling pieces onto a balcony. When designing a new home take into consideration the style of building. 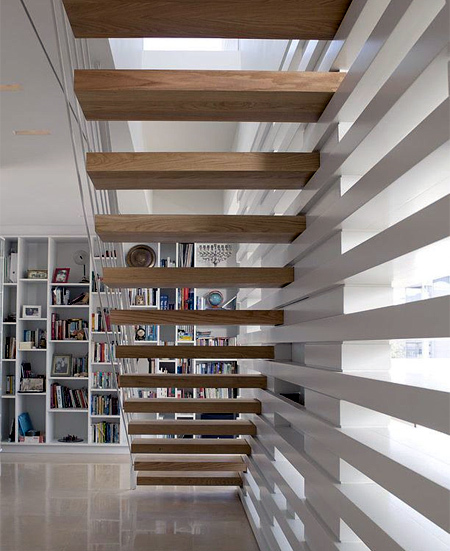 You obviously want to match staircase design so that it blends with the look of your home. 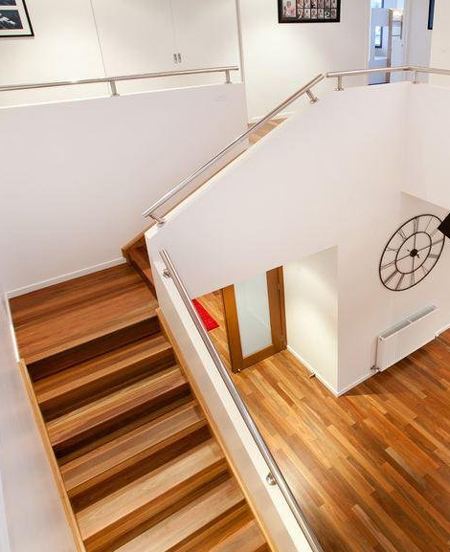 A staircase that is open on one side needs to be fitted with railings and balustrades, unless you are wanting to leave this open. This is where design is important, especially with so many options to choose from. 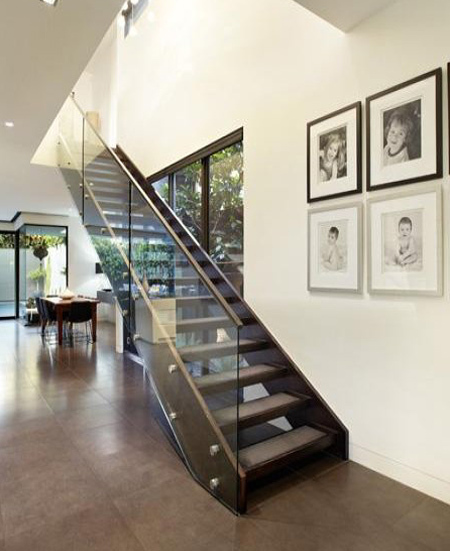 Staircase design needs to take into consideration the safety of children and guests, and possibly even the elderly. 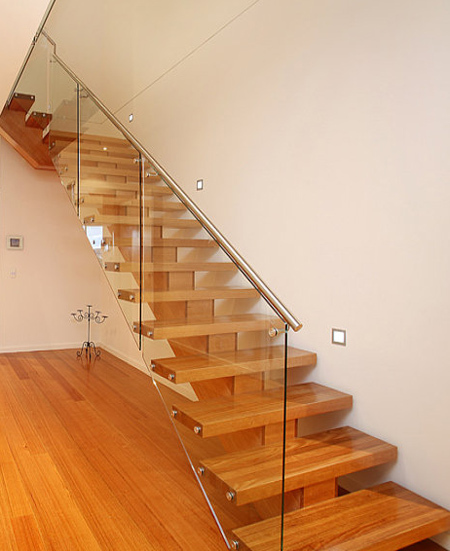 If you want a staircase to be a stand-out feature, adding safety glass panels to the side is an option to consider. The downside to glass panel sides is that they require constant cleaning to keep them fingerprint-free. To rectify this, look at having glass panels sandblasted or frosted. 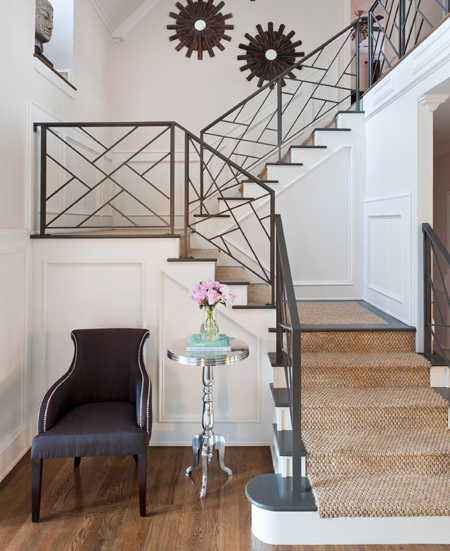 Wrought iron and steel staircases are attention-grabbers and immediately transform an entrance or hallway into a feature. Your choice is unlimited when it comes to design using these materials and you can shop around until you find the style that best fits in with your home design. 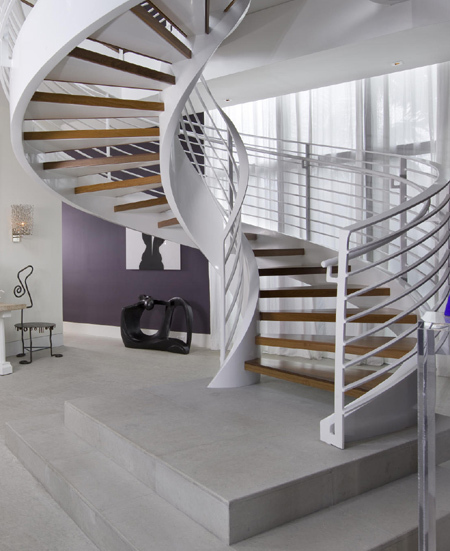 A curved staircase requires far more space that a straight or switch-back staircase, but they add a touch of drama to any home. 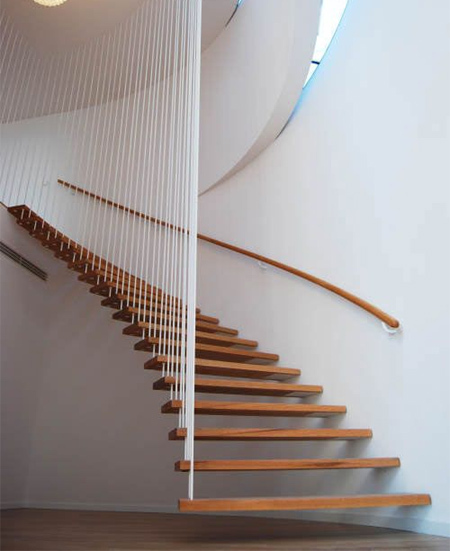 Curved staircases demand attention and, depending on the materials you choose for the manufacture, these staircases set the tone for designing around them. 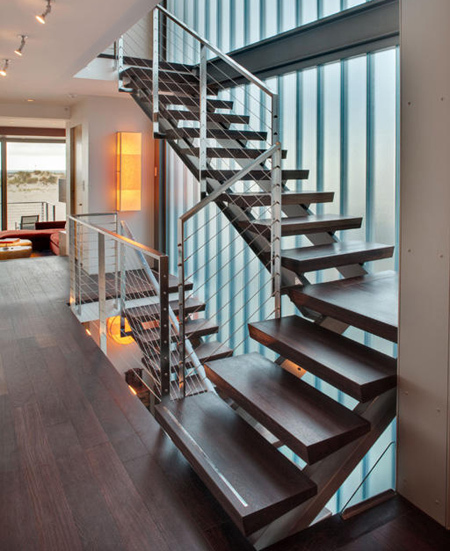 The stairs themselves (treads and risers) can be built using a wide variety of materials, from hardwoods, concrete slabs, toughened safety glass or steel. The choice of material will depend on the design, space and look that you want for your home. 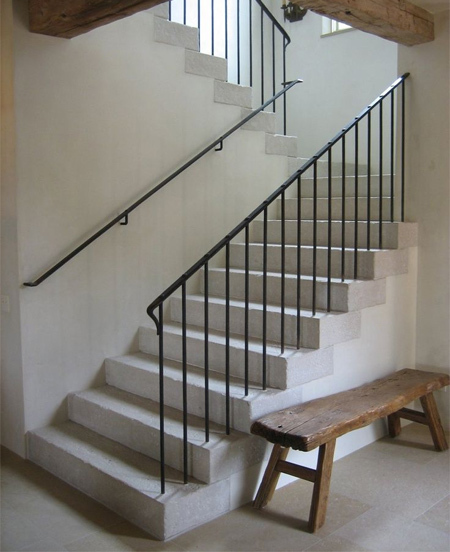 Straight up, curved or switchback, the staircase that you choose for your home will be dictated by the space and budget available. 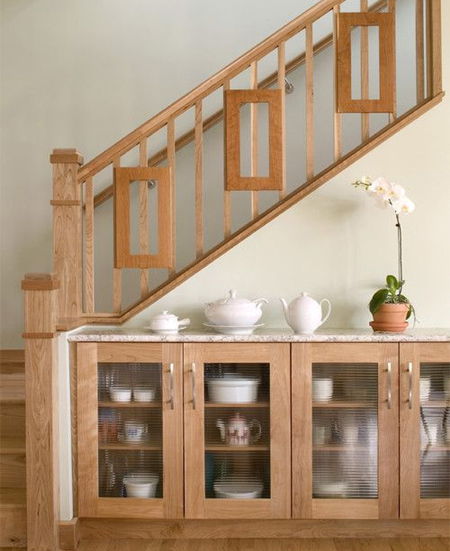 As an architectural feature, when designing a building a home make allowance for a staircase that not only matches the style of the house, but also becomes a noteworthy feature.